Living in a big home is an amazing thing. Until the time comes for you to move out. All the square meters you have been enjoying for so long now need to be cleaned. As you probably know, the move-out cleaning is not the easiest type of cleaning – for one thing, it is nothing like the weekly house maintenance. You can help yourself by making a plan. Try and follow that plan as it will help you move out on time and, hopefully, not fall behind schedule with other tasks. Without a doubt, you would probably need help transporting your furniture to your new place, etc. and it is very likely that you have made various arrangements. 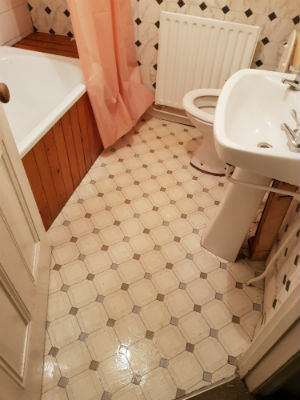 Finally, you have cleaned up everything to perfection and all you have to do now is invite your landlrod or letting agent on a final inspection. But what if your landlord or letting agent does not like the cleaning you have performed and you fail to pass the final inspection? Undoubtedly, this would mean that you have to rearrange all your other appointments and perform the cleaning session all over again. Or, you can simply book a professional cleaning company in the first place and not deal with the cleaning by yourself. Our cleaning company has rich experience in the field of End of Tenancy cleaning. You might think that professional move-out cleaning services are too expensive and that is why you have not booked one. But if you book our professional End of Tenancy cleaning services, we will show you that professional services need not be ultra expensive. Our professional cleaning company named Tidy Cleaning London covers the areas of Brixton, Tooting and Wandsworth. You already know what fun living in Brixton is. The suburb is famous for its night life, popular venues are pubs like Trinity Arms and Crown & Anchor. Popular tourist attractions here are the Lambeth Town Hall and Craft Beer Co. where you can taste more than 100 kinds of craft ales. The End of Tenancy cleaning which our professional cleaning company offers is performed by a team of professional cleaning technicians. How many technicians we send to assist you is decided in accordance to the largeness of your rented property. Of course, you might not be sure what does our cleaning session include. This could be the case especially if you have never booked a professional cleaning session before. What to do in such a case? Simply contact our customer support team either by phone or e-mail – you can reach us 24/7 – and ask one of our representatives for details. You will be thoroughly familiarised with the specifications of our services. What is more, you should book our cleaning company over our competition in Brixton because we our company is working with environmentally friendly cleaning products only. For us, making your property absolutely sanitary is just as important as keeping the earth toxic-free. Choose our company to receive the best End of Tenancy cleaning in Brixton. Choose our services over those of our competitors because all members of our cleaning team are certified professionals. That is not all – prior to becoming members of our team all of our technicians have underwent an extensive training program where they were taught how to perform our cleaning services with excellence each time. We can assure you that our cleaning experts will perform a comprehensive cleaning of every room within your premise. Our End of Tenancy cleaning sessions come at fixed prices, so you do not have to wonder how much you will have to pay for the service. Please keep in mind that our professional cleaning company demands its clients to move out all their possessions prior to our appointment. This is done both four our clients’ peace of mind, and also for ours. What is more, upon your wish you can book additional cleaning services. 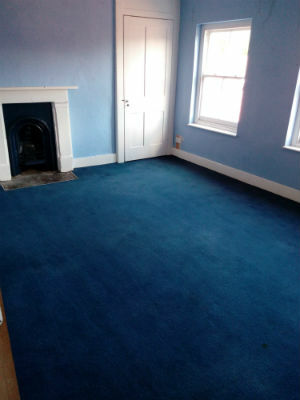 For example, many of our clients who rely on our help in Brixton book us for an End of Tenancy plus Carpet cleaning services. We would advise you to book such a pack if the carpet had been in the property before your moving in. Choose our End of Tenancy cleaning services in Brixton and you will pass your final inspection with perfect results. With our cleaning company you can expect nothing but perfect results.